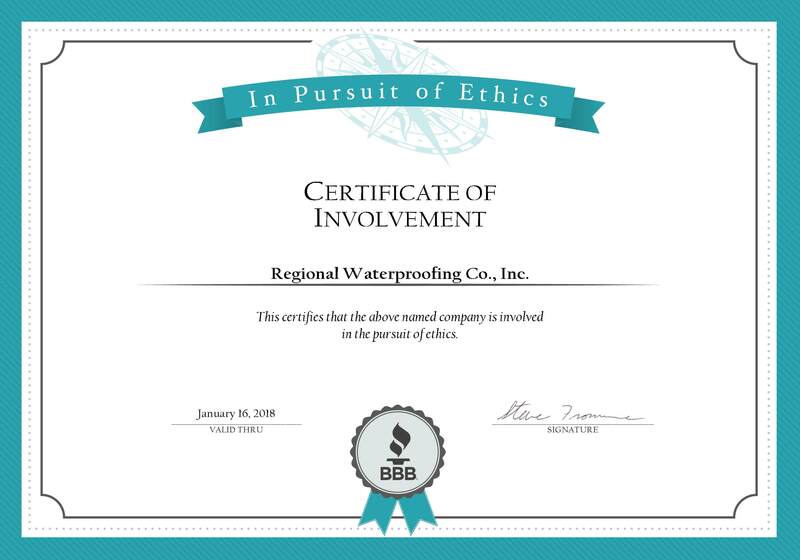 Regional Waterproofing is proud to have participated in the Better Business Bureau's Pursuit of Ethics program. This certificate is awarded to those who are only the most dedicated to being an ethics-minded business. North Carolina Building Performance Association is a Raleigh, N.C.-based nonprofit trade association for North Carolina’s building performance industry that provides residents and businesses with the resources they need to live and work in healthy, safe, durable, cost-effective and environmentally friendly homes and buildings. The association advocates for growth in building and energy codes, promotes the industry workforce and provides services to member companies that help sustain North Carolina’s reputation as a national leader in building performance.